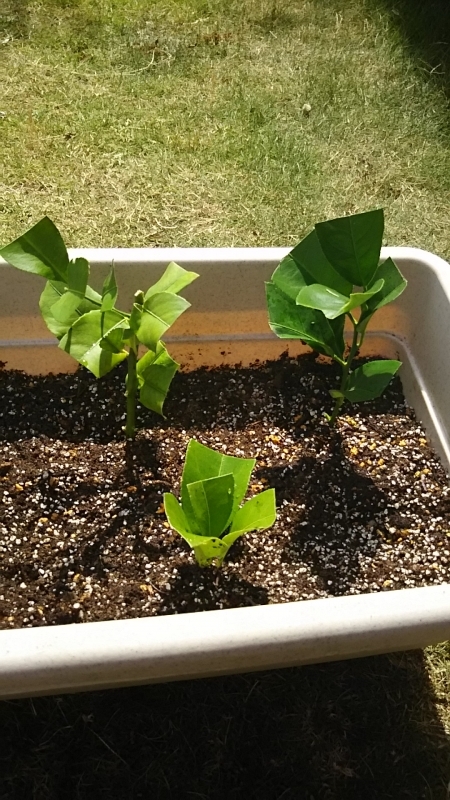 I tried to grow a lemon from a cutting! 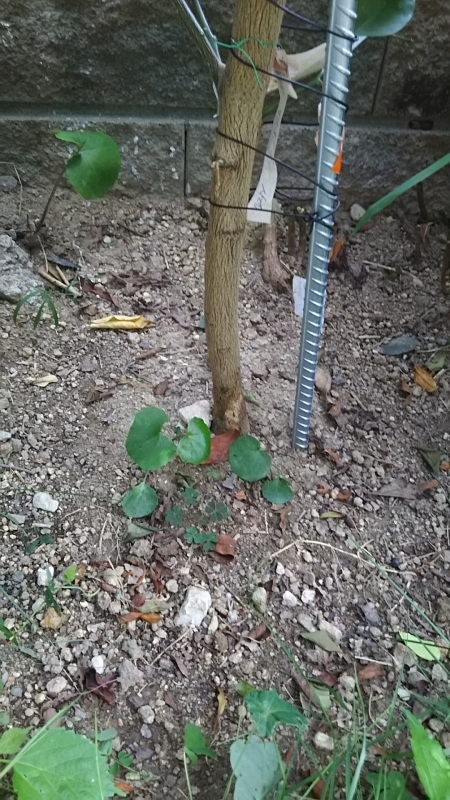 I also tried to record the growth after that! 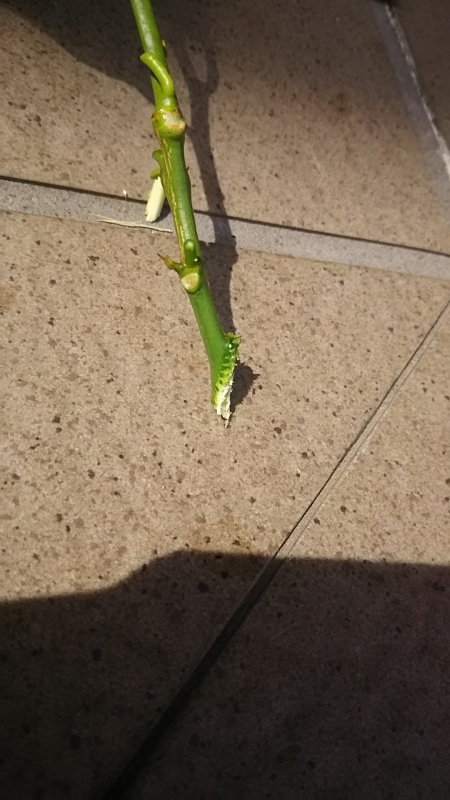 I tried to grow a lemon from a cutting! I also tried to record the growth after that! 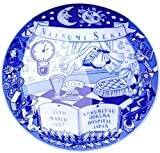 「MOMOKURISANNEN KAKIHACHINEN」 It is a Japanese famous proverb. "Peaches and chestnuts take 3 years to produce fruit, persimmon takes 8 years." there is the word "Yuzu takes nine years for many flowers to bloom". In other words, Yuzu means that it is necessary for nine years to produce fruit. Well, when did I plant "Yuzu" in my garden? I did not remember well. you should have bought impulses." but I think that about ten years have passed since planting Yuzu. 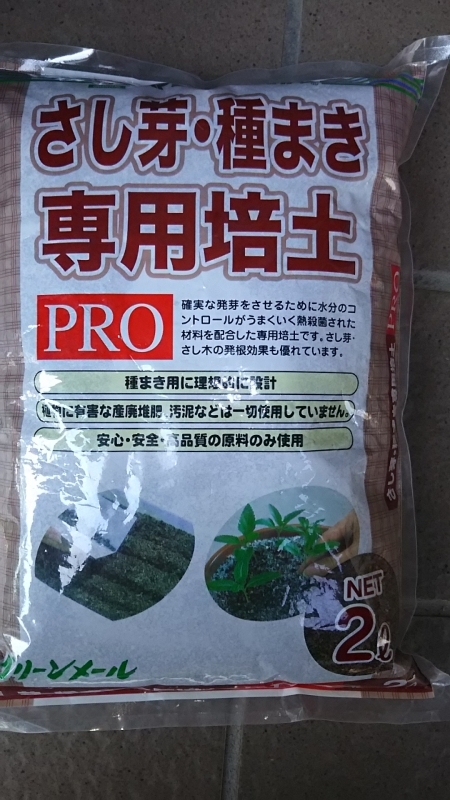 I bought without thinking anything and I planted Yuzu without thinking anything. Is it because of that? I do not remember whether Yuzu's tree had fruit thereafter. I guess that was indifferent. Originally I am such a human being. Last year, four to five pieces became fruit. I tried to eat it when the skin color was green. At that time, I was taught that "Yuzu is taken after the skin turns yellow." and I did something very rude to Yuzu. In comparison with Lemon, I began to be aware of Yuzu's existence. I tried again to compare the trunk of Yuzu with the trunk of lemon. but the trunk of yuzu is growing thicker as a matter of course. 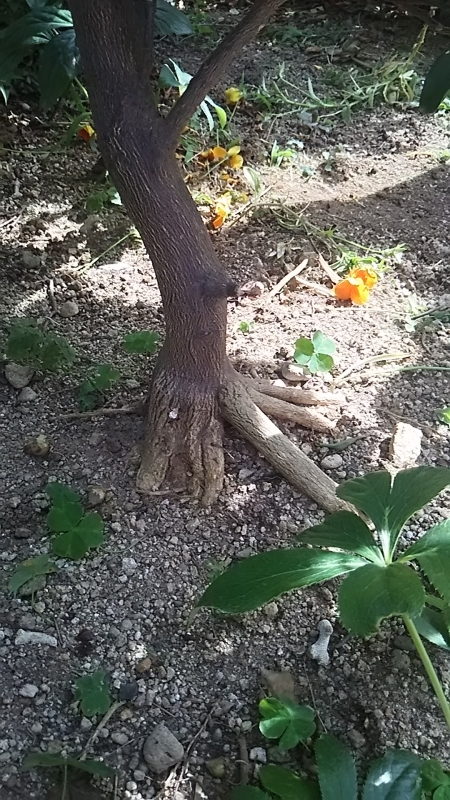 but it seems that the roots are separated and firmly sticking to the ground. I do not think that I will support Yuzu's trunk with an iron bar like a lemon. I decided to prepare for the unexpected situation. 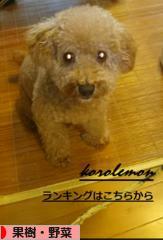 It is necessary for several years if it responds after it becomes useless. Then, which is better with garden planting and potted planting? 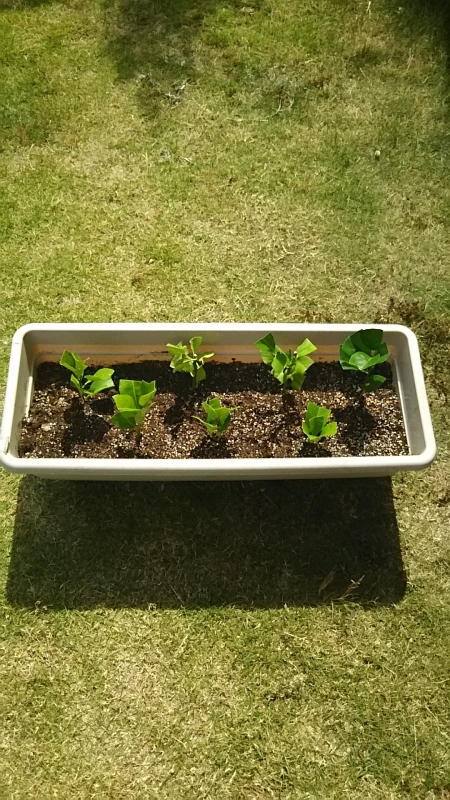 It seems there are merits and demerits in each, so I wanted to try potting as well. I worked in the garden for about 3 hours. I worked around 12: 30 ~ 15: 30. 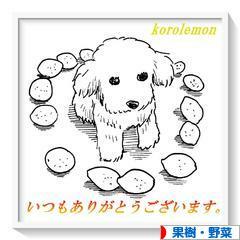 1、I cut branches from the current lemon tree. I chose a branch that seems to be intertwined in the future,if I did not do anything. seem not to be suitable because they tend to decay after cutting. 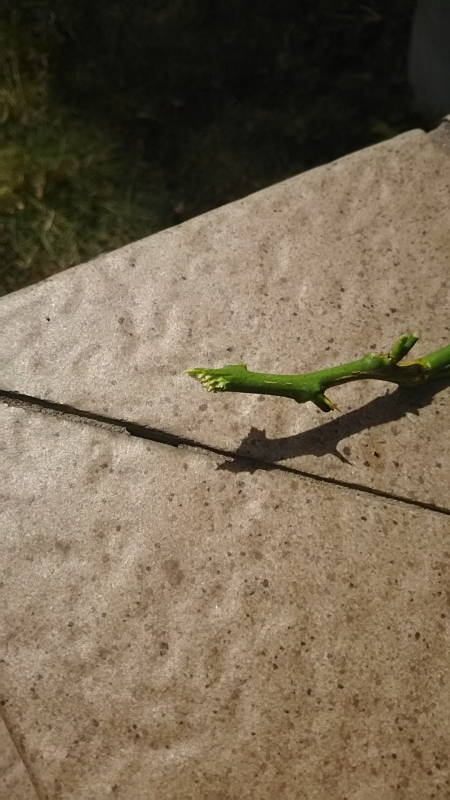 I took out branches that would be tangled if the branches stretched like this and used them. 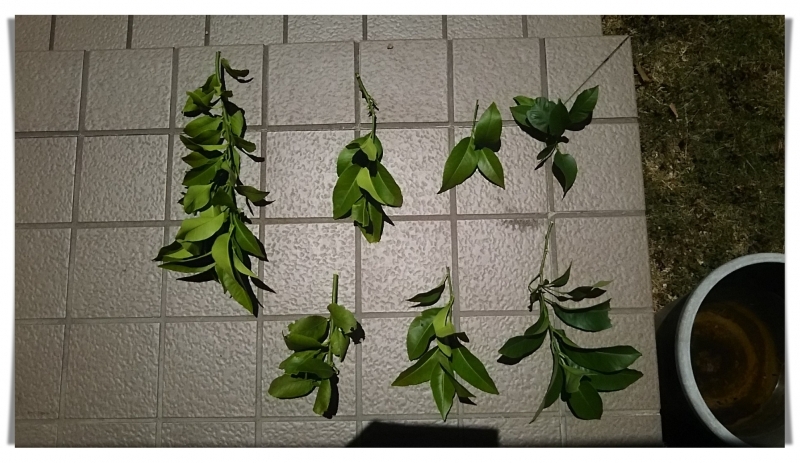 2、I made this branch 10 to 15 cm in length. And cut the lower half of the branch. 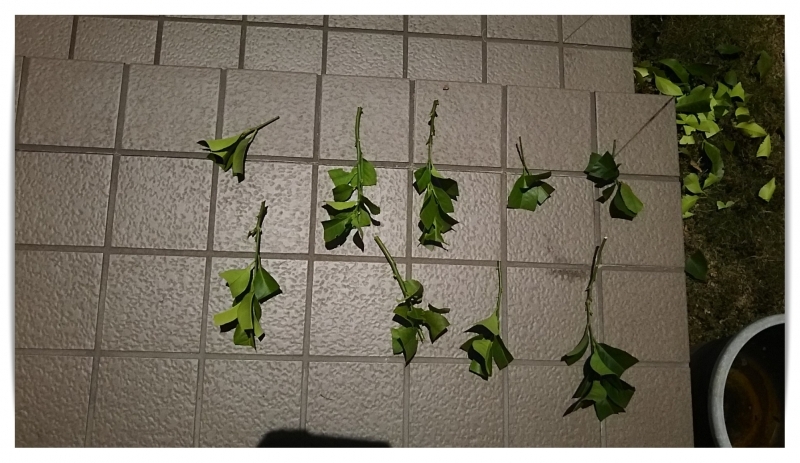 Next, cut the remaining leaves in half. but I decided not to throw it away so as to figure out what happens. 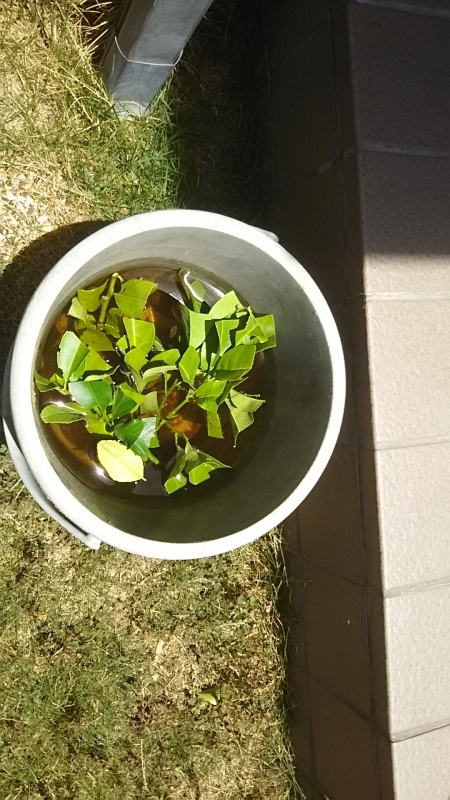 ３、I soaked this branch in a bucket filled with water. I tried to soak for about 1 hour. 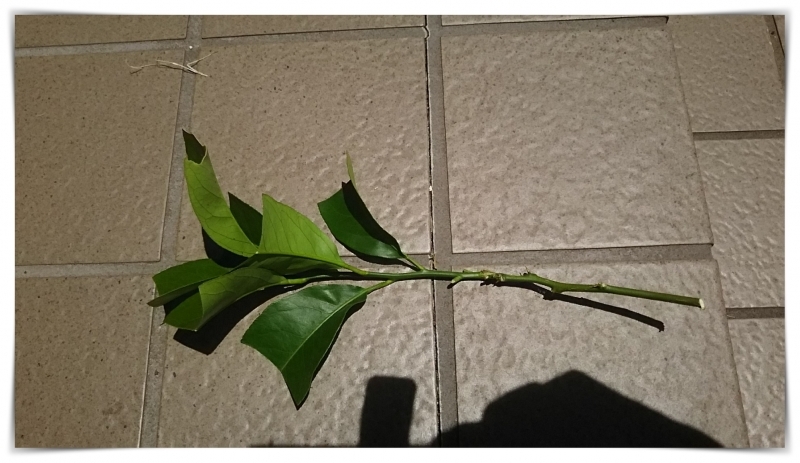 ４、I pulled a branch out of the water and cut the lower tip of the branch diagonally. and to expand the area where the roots come out. 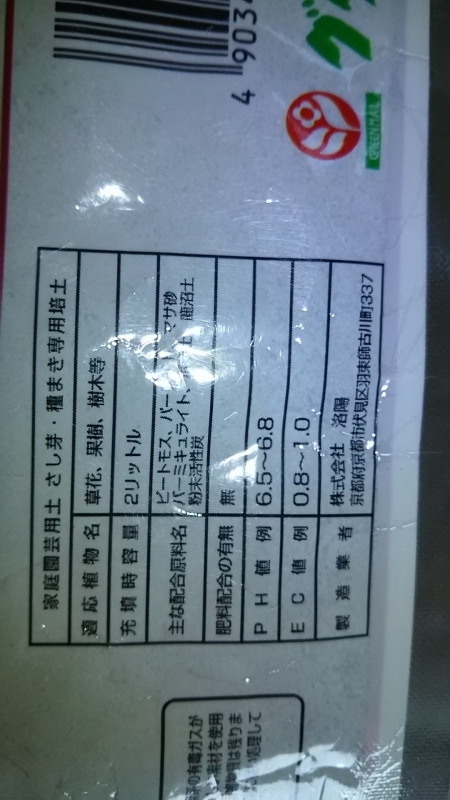 ５、Root promoter was attached to the cut lower tip. ６、I put soil dedicated to sowing and planted the branch in the soil. the hole was dug and the branch was inserted and covered with soil. 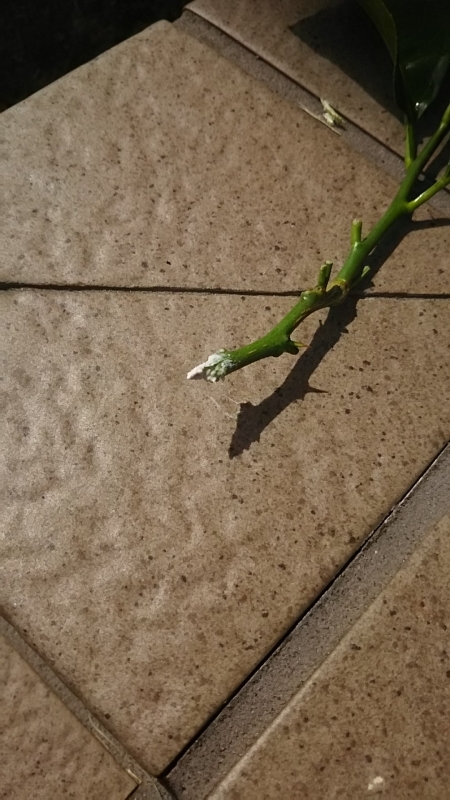 so I watered it while holding the branches with my hand. so I put it in the shade of the front door. From now on, I will try not to forget watering every morning and evening. It is about 2 months from now. 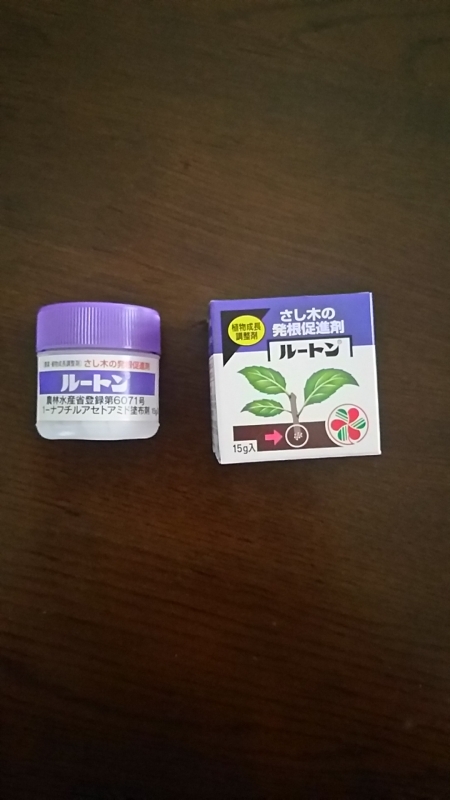 　「How to grow lemon」is my Blog posts. If you have time, please read through! ! if you push this banner! !